If you have been looking for a new diet to try, consider participating in the Special K Diet. Designed by the good people over at Kellogg’s, this diet will help you reduce your daily caloric intake while also dramatically lowering the amount of fat you eat as well. 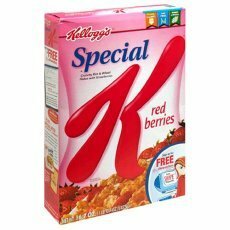 The Special K Diet is a program where you eat Kellogg’s Special K cereal for breakfast and either lunch or dinner. According to recent studies, 3 out of 4 dieters who followed this diet plan achieved a slimmer waste and hips and even lost up to six pounds over a two-week period. People who participated in this study consumed an average of 1590 calories per day, which turned out to be 27% less than their normal diet. Also, their fat intake was decreased by half. To follow the Special K Diet, you will need a love of breakfast cereal. The diet calls for two bowls of Special K cereal each day, one for breakfast and the other for either lunch or dinner. The third meal of the day should be a low fat and nutritionally balanced meal so that your body can get the rest of the vitamins and minerals it needs to be healthy. Snacks are also permitted on this diet, provided that they are healthy ones such as fruit, vegetables, low fat yogurt or a Special K bar. Alcohol should be avoided while participating in this diet while water and diluted juices are recommended for your beverages. There are several pros and cons associated with the Special K Diet that need to be considered before you make your decision of whether or not the Special K Diet is right for you. The diet plan is very simple and easy to follow. No calorie counting. Just make sure to eat two bowls of Special K cereal per day and a third balanced meal and there is nothing more to do. Scientifically proven to be effective for 75% of people so your chances of seeing positive results are quite good. Several health benefits have been linked to people who regularly eat breakfast such as lower cholesterol levels, improved memory and concentration, and a higher intake of certain vitamins and minerals. 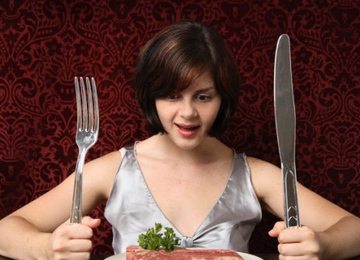 Easy to get bored with this diet due to the lack of variation in the menu. If you do not think you will like eating Special K cereal twice a day, this may not be the diet plan for you. Special K is not a great source of fiber so you will need to eat more fruits and vegetables throughout the day to make up for this difference. The weight lost during this diet can easily be regained once you resume a normal diet after the two week time period is up. It is important to watch your calorie and fat intake once you are off the Special K diet so that you do not pack on the pounds that you just lost.